"Over the last 12 months on hard court, Osaka has held serve almost 5% more than Pliskova - in fact Osaka's almost 80% hold percentage is world class - and she has around a 4% edge on return." 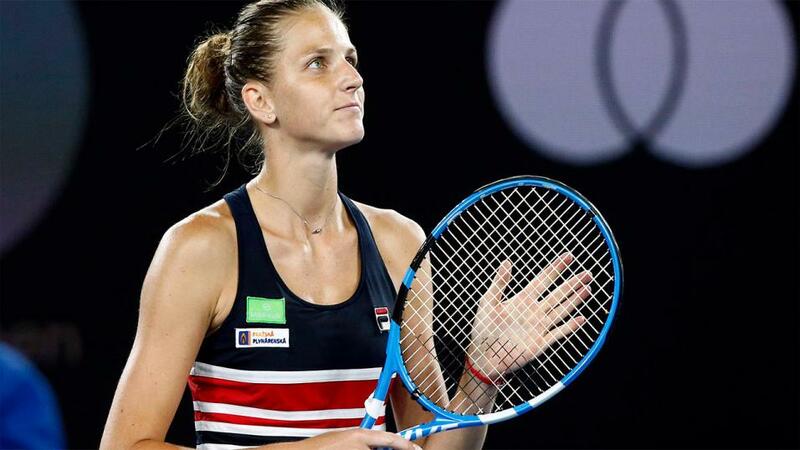 Today's quarter-finals in Melbourne saw wins for Naomi Osaka and, in a dramatic final set, Karolina Pliskova over Serena Williams. Williams was 5-1 up in the final set, seemingly on the verge of the semi-finals, but eventually succumbed 5-7. Just over £300,000 was traded on Serena at [1.01], with a touch over £450,000 traded on her at [1.05] or lower. Pliskova was matched at a high of [340.00]. Pliskova's win took 132 minutes, almost double the 70 required for Osaka to triumph, and with the quick turnaround for the duo for their semi-final tomorrow, it will be interesting whether this gives a slight advantage to the Japanese player. Prior to their semi-final, however, is the clash between Petra Kvitova and the surprise of the tournament, Danielle Collins. Even a defeat here will see Collins on the verge of the top 20, and she's priced at [4.50] to continue her fairytale run here in Australia. By definition, this means that Kvitova is a strong market favourite, and she's priced at [1.27] to make Saturday's final. My model agrees that Kvitova should be a heavy favourite, but she looks a little short here at market prices, although it's nothing huge. However, what is difficult to take into account from a numerical perspective is how players will react to the occasion. This will be Kvitova's sixth Grand Slam semi-final - she's won two semi-finals previously - and she has plenty of experience of the big stage. Collins, conversely, hasn't ever had a Grand Slam like this in her career, and it will be interesting to see whether she thrives in the biggest match of her life, or whether she will be beset with nerves. Perhaps it will be best to evaluate this in-play. The second semi-final of the day is between the aforementioned Pliskova and Osaka, and it is Osaka who is the slight market favourite, currently trading at [1.81] on the Exchange - quite a bit bigger than the around [1.40] that she was in the final of WTA Tokyo in September. My model does like the current market price on Osaka, with her having a decent statistical edge over her Czech opponent. Over the last 12 months on hard court, Osaka has held serve almost 5% more than Pliskova - in fact Osaka's almost 80% hold percentage is world class - and she has around a 4% edge on return. Factor in the hour less exertion today, with that quick turnaround for both players, as well as the continuing improvement upside for Osaka as a younger player, I'm happy to have Osaka as my recommendation for Thursday's women's semi-finals. I anticipate a pretty serve-orientated match, given that both players have projected hold percentages well above the WTA mean, and that both players have held greater than 75% of the time across their career head to head to head meetings.